Area: 305 sq km. 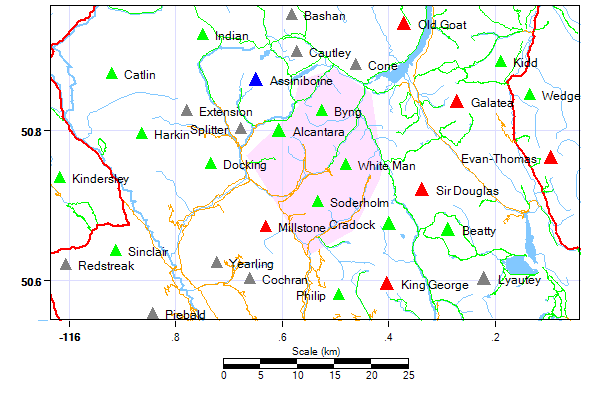 Location: The Blue Range lies south of Marvel Pass and Mount Assiniboine, and north of Spray Pass. (on some maps the label excludes the area between Spray and White Man Pass, but we have taken the larger definition.